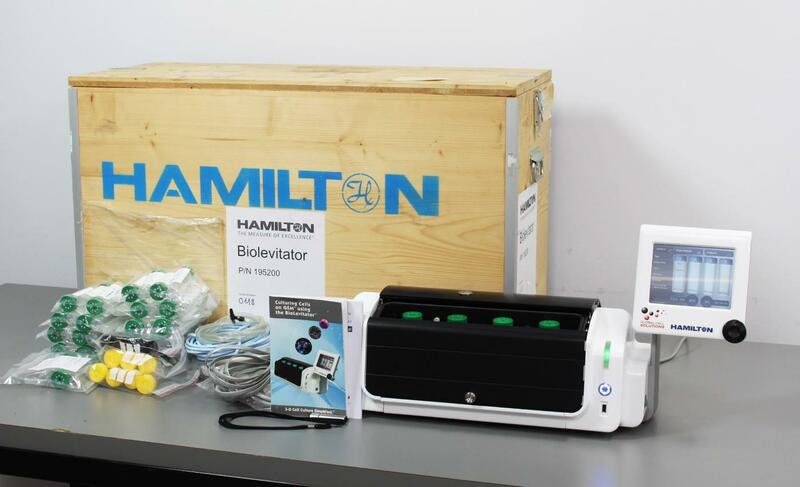 Hamilton BioLevitator 3D Cell Culture Incubator GEM Global Cell Solutions . New Life Scientific, Inc.
system will arrive on your laboratory benchtop complete and ready for operation. confirmed functional except for CO2. operating software that results in a satisfying experience during operation. except for the CO2 which is untested due to lack of CO2 supply in the tech shop. previous owner or saw little use and is in good working condition right out of the box. being inspected and unpacked. Only reagents and a CO2 supply needed.